In my previous post I started to talk about white feathers and maybe their meaning. After my first experience with the white feathers I hit a sad time in my life. In a period of 16 months three very close people died: my mother, my best friend of some 30 years and my daughter. The latter two deaths were quite unexpected. Needless to say this hit my wife and I quite hard. I questioned many of my long held beliefs and now feel that life is about change, nothing is permanent. Following my mother's departure from this world my wife and I started to see white feathers. They seemed to be everywhere and these continued following our other two losses as well. The feathers felt like they were messages saying that things were alright. Often, after we saw one, something nice would happen. Of course, when we are emotional, there can be a tendency to hang on to whatever we find comforting. Some would say that the white feathers were like a crutch. It's very easy to dismiss white feathers as something by chance or even superstition - feathers perhaps simply out of pillows, or even birds! The odd thing, however, is that they sometimes seemed to almost answer questions. On one occasion I was walking across the square in our local town, just after my best friend had died and wondered if he was okay. A daft question some will think, as he was dead, but out of nowhere a white feather appeared and fell at my feet. As I continued to walk it flew on ahead and did a sort of big forward circle before falling again at my feet. Perhaps I was clutching at straws but I got an instant feeling inside that things were okay with him and I had no need to worry. This sort of incident followed my wife and I during the sad times. My wife would find a feather and say, "Look, she's thinking of us." And that's how we felt. It was comforting. The other side of this is that we also came across black feathers and following these something not so good would happen - even one of the deaths. At the present time the feathers, white or black, have stopped appearing. Perhaps we are getting stronger and don't need them quite so much. 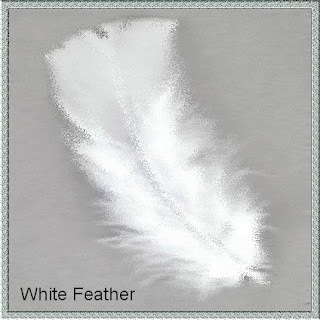 Recently I've been reading about white feathers and theories of their meaning. I don't know if any of these are correct as none of them a struck an immediate chord with me. All I can say is that they helped my wife and I and seem to have helped other people as well. "I remember one time in a swimming pool, everybody and everything was awash with water and I just looked down and all of a sudden on the edge was just this white fluffy dry feather and I thought, 'Oh my God!' It's just like Caron popping in to see how the children are getting on." "White feathers may appear in the most unlikely places. When you have found a white feather, carry it round with you to keep your angel close. Once, when I was teaching an angel seminar, I mentioned that white feathers are a common angel sign. After the seminar a woman said that, despite what she had heard, she was not convinced of the existence of angels. At that very moment another student noticed a pure white feather stuck to the sleeve of her cardigan." Angels? Guardian Angels? Messages from the dead? At the moment, I honestly don't know for sure. Footnote: I would just add that a white feather is also known in the British Army as a sign of cowardice. So much so that in WWI lapel badges were issued to essential workers on home soil to show they were helping the war effort and were not cowards avoiding military action. They also indicate pacifism in some countries and bravery in North America. An interesting post, Mike, but like you I have no real feelings about the meaning of white feathers. My mother often sees them too and says that they are messages from her mother. Wishing you happines. What a charming post, Mike. I'd not read of the significance of white feathers as angel sign or messages from other planes but your and your wife's experiences are quite persuasive and somehow comforting. I am sorry for your losses. Hi Mike - an interesting read! To be honest the only meaning for white feathers I knew was the one for cowardice. I will have to keep an eye out for them from now onwards! Many thanks for your comments - appreciated. Great post and I dont think you are clutching at straws at all. In this day and age we often miss the signs of our loved ones who have passed on. I've experienced loss enough times to think there are definite signs that show our loved ones remain in our lives and help us through the grieving process. For me its praying mantis', usually after a loss in the family we will start seeing them everywere no matter what time of year it is. Thank you for sharing this post, I like the part where you wondering about your friend and a white feather appeared. Lola: Thanks so much for your comment. It's interesting what you write about the praying mantis - I guess we all have different signs through life. My Mother passed away recently,I was with her and its one of the hardest things in my life. After the funeral when my cousin was leaving she said.....Look out for a white feather. I had never heard of this before anyway today nearly two weeks since my Mum passed away i looked out the window and every where was ice went to get in my car and the at my feet was a beautiful white feather. Im hoping it was a sign my Mum is ok? My sister passed away very suddenly aged 17, a few years ago. I had never seen a white feather in our house ever before, but they began appearing every single day for the first couple of weeks after she passed away. I wasnt very religious beforehand, but I definitely took it as a sign. When it was time for me to leave my home a few weeks later, to go back to college, I found a gigantic white feather on my bag, and one stuck to the car door! when things were most difficult, white feathers would appear. They then began appearing in my college dorm when I returned, something which never happened before.As time went on, they became less common. Then, about a year later, on the morning of my graduation, a huge feather floated down towards me. I definitely take it as her way of letting us know she is ok.
Hi Our baby girl was born sleeping last week and my partner just walked outside and a white feather flew down infront of him. I looked on the net and found this post, its lovely to think its her. Hi Mike: I write because a friend forwarded your blog-link. Funny, now that I'm 63...I can't remember when I started seeing the white feathers. [I've got a little homestead we call "White Feather Ranch."] Anyway, my brother had committed suicide, our family was in pain and I think they probably started falling then and ever since they have just shown up and I've really never connected them with any particular event or thought that I CAN REMEMBER. [It IS getting harder these daze! My sisters may have a better recollection...ha!] Anyway, I can remember sitting at a pool telling my sister about the white feathers when, out of the blue..ha, one floats down from nowhere. YES, these ARE indications of some sort. Shall we investigate? OR, just let them underscore our delight! This is what I shall always do...delight in their existence in my life! I have lost a close friend and had 3 funerals in the last 3 months which has been difficult. After the funeral of the premature and sudden death of my friend, two feathers were on the floor of the car, no idea how they got there. Then a few days later, I was speaking with one of his other close friends on the phone. She was still in shock. I then left the house to go shopping and next to my car on the bush, there was a small white feather. It gave me comfort so I have it on my bedside locker now. I am sure there is some link to the afterlife and this is a good one. I lost my 21 yo son almost 2 months ago. He died after having a seizure in the shower. Last night I was reading a book while having a bubble bath. I decided to finish the book in bed. 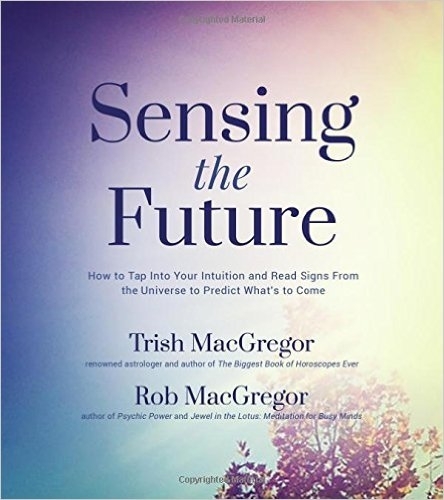 When I opened the book, there was a big fluffy white feather on the very page I had stopped reading. I was blown away. I never took such things seriously before. I cannot find any other explanation though, other than it was placed in a closed book by a spirit, my sons I believe. I lost my nan suddenly in November of 2011, and have had many encounters of white feather prior to her death as well as after, but tonight was the most poignant of all showings. I was sat in my bed in the dark watching television, when I saw something slowly drifting downwards in front of the screen, I got up to catch it and turned the light on to have a better look, and it was a white feather. I must add, I do not open the windows in my room, as I don't like spiders, and have no feathers in quilting, pillows or anything else in my room. I placed the feather on my dressing table and sat to tuck my son into bed, when I turned back the feather was gone. Some might say they are sceptical, but I had an experience several years ago when I was seriously ill in hospital with meningcoccul meningitis. Where I was visited by a relative that had passed over several years before, and she stood watching over me for several hours. After she faded I began to improve, and am here to tell the tale today. So I do truly believe there is someone or something to watch over each and everyone of us, and once in a while they let us know they are there to comfort us. I just had a serious emergency surgery; I was all alone. When I was back at my room and about 8 or 10 hrs after surgery, the nurse came to my room and checked on me. she noticed this long white feather sticking on me under my gown. After reading all these comments I assume this meant I was not alone. My guardian angel, my husband and father were with me. We had a loose paling on the balcony of our two storey house,when our son was 2/3yrs old. We blocked it up, apparently not well enough and my son fell through and off the balcony. He wasn't hurt at all, but rushed him to the doctor's just incase. The only thing I found on him, was a perfect,tiny white feather stuck in his curls. I like to think his angel softened his fall. I still have that feather. I lost my baby, aged 6 days just over 2 months ago. During the most difficult times (which are often) everywhere I look are white feathers. I was in the garden yesterday, tidying it up and everytime I turned around I had a white feather at my feet. They are in shop doorways when I come out of a shop and the most lovely is when one floated down to me while I was in bed, crying. I really do hope it's my baby saying he's ok.
ive got a few white feathers had a few fall on the car too when in slow moving traffic recently though ive started finding hairs on my person same length and colour of my girlfriend who passed a week before christmas anyone else heard of finding hairs? had 2 in the last week and all clothing bedding i have been in contact with have been washed on numerous ocassions i have no explanation for this other than spirit? I kept finding my mums hairs in my house... it was a house I had moved into 5 weeks before my Mum passed, she had only visited once... she hadn't a single hair on her head for a year after losing them all to chemo a year earlier. I was interested to find this article as I've never heard anyone else mention a possible meaning behind white feathers except for one occasion when my Mother told me that finding them was apparently a "sign that your guardian angel is looking over you". Now my Mother doesn't have any belief in angels and I wouldn't say I've put too much thought into them either and I'd always assumed it was just a little tale she had made up to entertain me, however hearing that others have experienced such anomalies really is interesting! I must ask her where she heard this from! My darling wife passed away on the 30th March and the next morning when I opened the french window a small white fluffy feather blew in and dropped at my feet. I kept it as I was sure I had heard of the story of them representing angels or lost loved ones. I finally had the courage to check the internet to find out if my memory was correct.When we are truly saddened it is a great comfort to know that it is not foolish to take solace in such small tokens of a higher meaning. my much loved mother passed away on april 16th, on april 19th at 8.45 at night i was walking down a dirt track when infront of me i saw something floating down, when i picked it up it was a white feather,it gave me much comfort and i would like to think it was my mum saying she is alright. my sister was murdered Dec2010, and my little 3 1/2 year old grandson passed away 2 months ago. He had a terminal illness, and we knew his little life would be short. We had some weird things happen at my sons house after my sister passed. I was convinced she was watching over him. I have been to visit them both today,I asked my sister if she was looking after my grandson. It was the first time ive been to my grandsons rememberance garden :( I broke my heart at the graveside, then i noticed a tiny white feather laying on the grave. It was a sign, i now know that they are together, playing till their hearts content. My sister loved kids, and my grandson would always make you sit on the floor to play with his toys with him. I feel happier now, im sure they are together. my Mam passed away suddenly. she was everything to me we spent everyday together she was my soul mate. She knew i loved my rabbits I've just been out to feed them and there was a feather in the straw rack! i love you Mam! Then I lost my Mum, I was devastated, she had been ill but we had been assured she was on the mend and I was thousands of miles away on holiday when she died. The guilt and pain were so incredibly hard to bear. The first of my white feathers floated to the ground in front of my eyes one afternoon not long after my mum died. It was a very still winters afternoon and I was sitting in my garden talking to my husband about my Mum. The second was on the floor just outside my back door. The first white feather took my breath away, the second I looked at still in denial but starting to think maybe....For.two and a half years after this I still found the feathers, every time I walked my dog regardless of the season, the weather, the time of day - I am in no doubt it was my mum saying its ok. A few weeks ago I was packing to go on holiday, I had spent a sleepless night worrying about my eldest daughter who had gone to work abroad and seemed to be in with a bad crowd, God knows how she was surviving, and my youngest who I was leaving on her own for the first time - I got up early to finish packing and there in the mesh inside my case was a perfect white feather. No way was it there the night before, the windows had been closed - it was inside the mesh. Going through a rough time at the moment, and a few family deaths. Mum mentioned finding a white feather, "auntie Phoe telling us it'll be all right". I smiled and said nothing. I know keep finding 1 or 2 white feathers on a regular basis. Even looking after a neighbours house, on a repeat visit, 2 white feathers on the stairs, which I certainly hadnt seen before. A little comfort when I need it. Will I still see the feathers when things improve? For me the feathers continued for a while but then stopped. But saying that I still see them spasmodically when I get a bit down or what I'm doing is linked to a deceased loved one. My mother died yesterday. She always beleived in sinchronicity. She died in St Michael's Hospice but for many years St Michael had been significant to her. I was trying to remember why this was and found your post regarding St Michael's chapel in Roche - a significant village for our family - and it's connection with Ley Lines and it fell into place and then saw the link to white feathers, something she again always referred to as an indication of an angel. I wonder if I will come across one to let me know she is thinking of me. Sorry to hear of your loss and I hope you will come across some white feathers that feel significant for you - but, whatever, I'm sure your mother is thinking of you. My Aunt passed away at the end of October. Being devastated by my loss one day on my way to work I decided to ask my angels to give me a sign Auntie was ok and at peace and asked to see a white feather. On the window sill when I got to work was the most fluffiest perfect white feather. The window was closed and there was nothing around that it could have come from. I knew that was my sign. I picked it up and put it in my pocket and when I returned home informed my daughter and went to reach into my pocket to show her but it was gone? I believe in Angels and find comfort in the sign that my beloved aunt is ok. Thank you for your story, first time I've heard of the white feather disappearing. I have always beieved in white feathers and have had many disappear over the years. Just recently my mum passed away and I had one float down out of nowhere and I took it home and by the next morning it had disappeared. I find comfort in them appearing and disappearing - its like they need to flutter off to give somewne else comfort and that is nice. My boyfriend has never believed until recently and now he is seeing them everywhere too. Thank you all for sharing your stories are so lovely and hope the feathers keep coming. I also believe that white feathers come to comfort us. After my brave little nephew died, my garden was awash with pure white feathers. My mother kept finding them independently too. With the understanding of the 'spooky' values of quantum physics there is a new understanding of the existence and importance of the soul. We can dream of what lies beyond. Love and gratitude. Thank you Gabby. I don't think any of us know what does lie beyond but I do believe that we all live on. One day we will see out love ones again. Thank you for your experience, good to hear that the feathers were of comfort. i have just come from sitting outside in my garden to searching for the meaning of white feathers and your page came up! i haven't been feeling too well over the past 7 months, docs can't seem to find what's wrong. It has been getting me down. Today, i decided to take control and be stronger and happier with myself!! As i was sitting down this evening in the garden (with the birds sound asleep) a white fluffy feather came down from out of nowhere and landed in front of me...followed by a second white feather which landed in my lap. Wonder what it could mean? It's difficult to say what your white feathers mean. It could, for instance, perhaps be a message of comfort from a loved one who has moved on. I'm so glad I found this site. I have always believed that angels watch over us but, I never knew how close. I have been finding white feathers through out my bedroom.Wondering where they are coming from. Since I don't own anything with feathers in it. Now that I know more about the meaning of finding them.I pray that I will find many more.